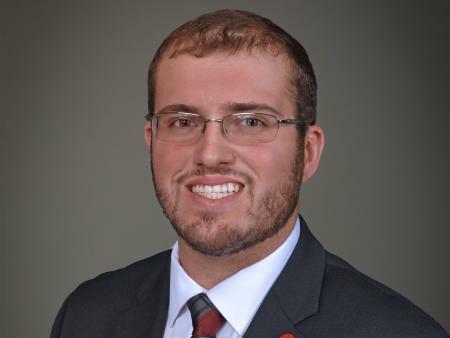 "The Distinguished Senior Award is the most prestigious undergraduate award in CFAES, recognizing the top graduating seniors from each of the academic units on the Columbus campus. One of the hallmarks of our college is an emphasis on student success, and it is heartwarming to see it exemplified through the accomplishments of our students. Recipients are our future innovators and leaders who have already made an impact within the academic environment at this university and beyond," said Dr. Steve Neal, associate dean for academic programs. The CFAES Distinguished Senior A ward honors academic, disciplinary and professional excellence in the College of Food, Agricultural, and Environmental Sciences (CFAES). It is the most prestigious undergraduate award in CFAES, recognizing our top graduating seniors each year from each of the academic units on the Columbus campus. The selected students’ accomplishments and activities have benefited their communities, their academic unit, the college, the university, and/or their future profession. The award honors students who exemplify the CFA ES mission in areas such as academics and scholarship, research and innovation, service and involvement, and influence and leadership. Recipients are our future innovators and thinkers who have made an impact in and outside the classroom – those who inspire us with their passion, pursue opportunities, rise above challenges, and epitomize our core values: excellence, diversity and inclusion, and integrity. Students must be a CFAES undergraduate major who will graduate in the Spring, Summer, or Autumn semester during the calendar year, with a strong academic record. Nominations are to include the student's examples of service, employment, involvement, research, and academics. Other considerations: notable achievements, unique challenges, overcoming adversity, growth as a person and as a professional, and/or meaningful impact(s) on the unit, university or community. Instances of how the nominee’s involvement has influenced their plans after graduation is also a consideration for this award.